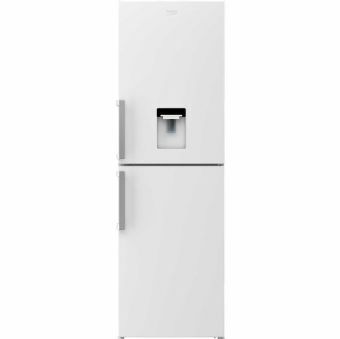 The Beko CFP1691DW Fridge Freezer comes in a stylish white colour. The CFP1691DW has an efficient A+ energy rating. It also has the frost free feature that maintains a constant flow of cold air through the appliance which prevents the build up of ice and frost on the inside of the freezer. It has the added benefit of an open door alert feature. The Fridge Freezer split is 50/50.To offer peace of mind the Beko CFP1691DW free standing Fridge Freezer also comes with a 1 year warranty. Please Note: This fridge freezer is taller than most, please check the height before you buy.